Another Small Church Christmas Eve – Was Yours Not So Merry And Bright? You’re not the only pastor who experienced a tough Christmas Eve yesterday, or feels the weight of it today. Christmas Eve has come and gone. As you scroll through social media, you’re seeing all the rave reports from fellow pastors about full churches, beautiful productions and salvations. But, while you’re happy for them, you don’t respond. Because, in the small church you serve, yesterday was hard. Again. 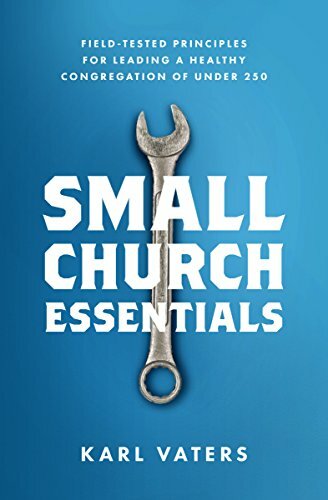 Instead of a bigger-than-usual crowd, your church building was downright barren because the church members who left for the holidays were not replaced by visitors. Instead of a lavish musical production, the one or two musicians you do have (if you have any to begin with) were among those who left town to visit family. And the bad weather didn’t help. Maybe in your church, the heater broke, or the weather blocked the roads. And maybe, while you put a post on Facebook saying you were sorry to have to cancel church on Christmas Eve, inside you were secretly relieved not to have to deal with it this year. I don’t have any answers for you. But I do feel what you’re going through. While our small church had a great Sunday this year, I remember those sparse years when there was more to dread about church at Christmas than to look forward to. I told myself that it didn’t matter how many people did or didn’t show up – we would rejoice in the wonder of the nativity anyway. I didn’t want to dread it. Year after year I told myself that it didn’t matter how many people did or didn’t show up – we would rejoice in the wonder of the nativity anyway. Then I felt guilty for letting it get to me . . . and a horrible downward cycle continued. If any of this feels familiar to you today, I hope this short reflection gives you at least a little bit of hope, some peace and a decent dose of solidarity, knowing that you’re not the only pastor who experienced it yesterday, or feels the weight of it today. You’re not alone. We’re in this together. Enjoy your family. And the food. Then get ready for next Sunday, knowing that Christ rewards faithfulness.